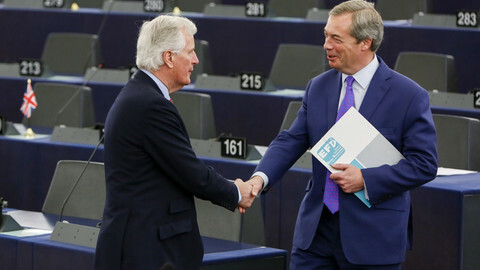 The text, expected to be adopted next week during the European Parliament's plenary session in Strasbourg, will set out the institution's position on the Brexit negotiations, which will start soon after the UK's notification on Wednesday (29 March) of its intention to leave the EU. European Parliament sources said that the resolution will mainly say what the procedure should be and what the MEPs' political priorities are in regard to the talks. It is also to remind the UK that the Brexit talks can only succeed if it shows "fair behaviour" while the negotiations are still ongoing, sources said. "Unilateral decisions by the UK will be contrary to the Treaties and illegal," the parliament's president, Antonio Tajani, said on Wednesday, recalling that the UK is still a member of the EU for the next two years, and needs to respect the rights of EU citizens. The resolution insists that the EU-27 have to work together, and warns that "any bilateral arrangement between one or several remaining member states and the United Kingdom, that has not been agreed by the EU-27 ... would be in contradiction with the Treaties". 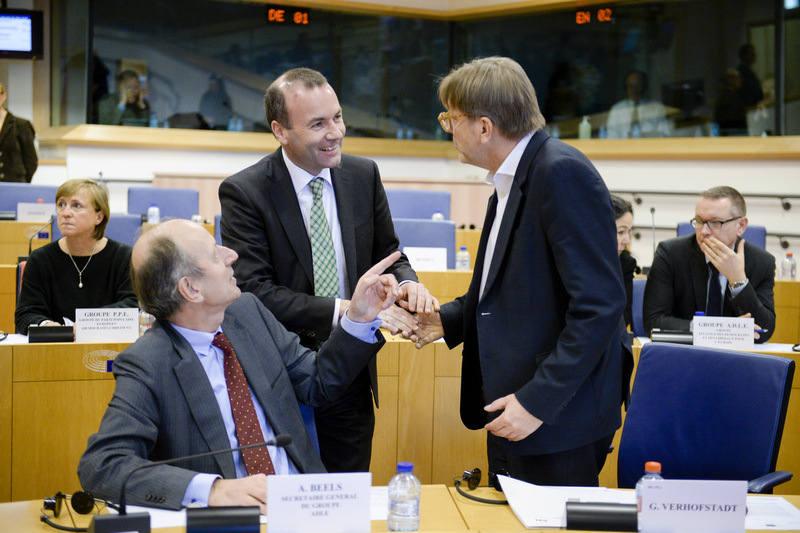 "The unity of [the] 27 is vital," Liberal group leader Guy Verhofstadt told journalists. A former Belgian prime minister, Verhofstadt is the parliament's point man in the negotiations. Invoking Article 50 is "an unprecedented and regrettable event as a member state has never left the European Union before", the draft resolution says. It points out a set of issues that should be of paramount importance – the rights of citizens, the border between Northern Ireland and the Republic of Ireland, the Union's external borders, as well as legal certainty for businesses. The parliament "requires the fair treatment of EU-27 citizens living or having lived in the United Kingdom and the UK citizens living or having lived in the EU-27, and is of the opinion that their respective interests must be given full priority in the negotiations", according to the draft text. The parliament will not participate directly in the negotiations, and the resolution is legally non-binding, but its consent will be needed on the final deal. That gives it an important power, as MEPs could scrap the entire deal if their demands are not met. After UK prime minister Theresa May hinted that security cooperation with Europe could be jeopardised if the UK does not get a deal, Verhofstadt told journalists on Wednesday that "security is far too important to start bargaining it against an economic agreement". In their resolution, MEPs stress that "whatever the outcome of the negotiations on the future EU-UK relationship, they cannot involve any trade-off between internal and external security including defence cooperation, on the one hand, and the future economic relationship, on the other hand." They also propose that any possible transitional arrangement, which would follow the 2-year negotiation, should last for three years. They say that they will adopt more resolutions on specific issues once the negotiations kick off. The draft text makes it clear that the UK "must honour all its legal, financial and budgetary obligations". 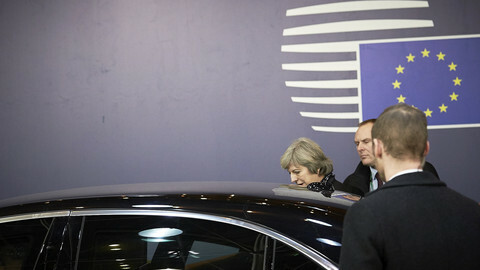 But the "UK will not be asked to pay what they have not previously agreed to," Tajani said. The draft resolution also stresses that any access to the European single market would require participation in the EU budget, as well as the acceptance of the EU's "four freedoms": the free movement of people, services, goods and capital. 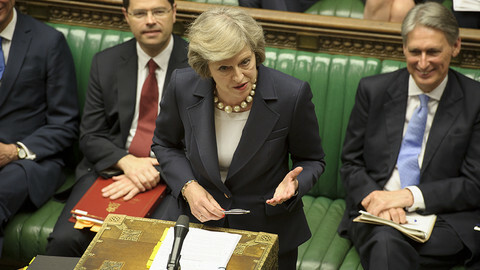 Theresa May has, for now, ruled out the possibility of participating in the single market, but MEPs believe that a U-turn on this issue is possible. Since the UK also aims to start free trade talks with non-EU countries as soon as possible, the draft resolution emphasises that the UK cannot negotiate any trade deals with third countries while still in the EU. 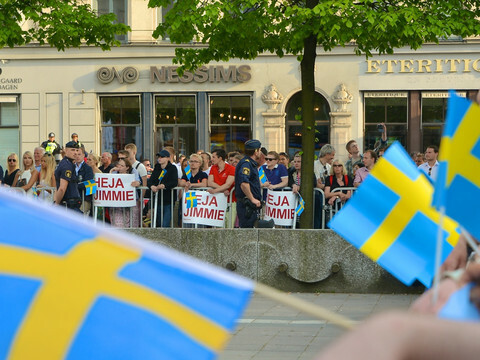 The draft resolution has so far been supported by the centre-right European People's Party, the Socialists and Democrats group, the Liberals, and the Greens. 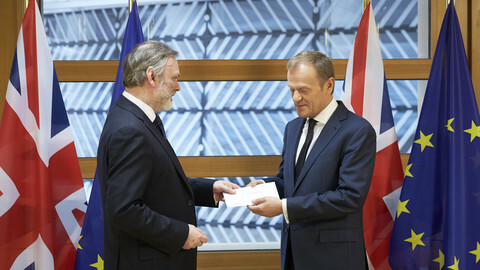 European Council president Donald Tusk will be handed the Article 50 letter written by British PM Theresa May around 1.30pm. 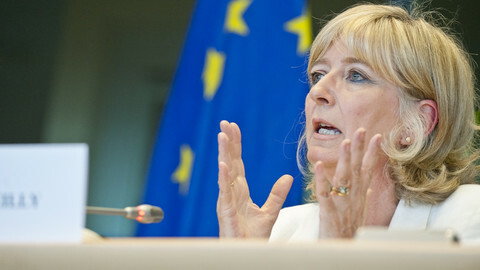 A "historic mistake", said the leader of the EU parliament's main group. 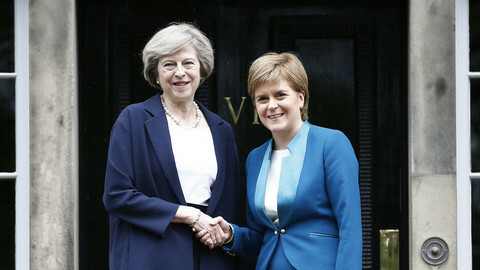 May vowed "never to allow" the UK to become "looser and weaker" on a visit to Scotland amid calls for a new independence vote. Juncker said the EU is looking for success with the UK during talks, as the European Parliament outlines its position on citizens, borders, and the bill that will have to be settled before London can move on to future discussions.